Every year, the HOPE Awards gives us an opportunity to honor our local heroes of public education. This year we will shine our light on individuals and programs making strides for literacy. 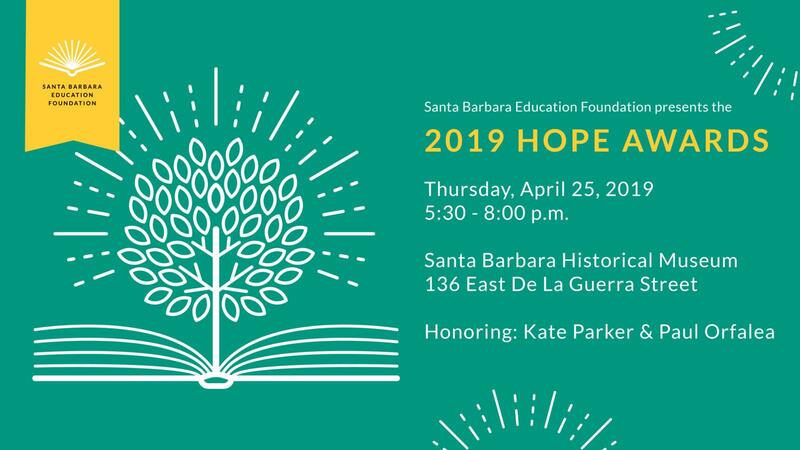 The evening will begin with a silent auction and reception featuring fine food and beverages from local restaurants, wineries, and breweries at the beautiful Santa Barbara Historical Museum. In her role as Library Director at Cate School, Kate Parker knows the impact literacy has on students. She first emerged as a leader in education when she served as the PTA president for two years at Adams Elementary School. She was then elected to the Santa Barbara Unified School District Board of Education in 2006. During her 12- year tenure at the School Board, Kate championed equitable student access and developed culturally proficient and integrated schools and classrooms. She continues to serve as an advocate for public education on the Santa Barbara Community College Board of Trustees. 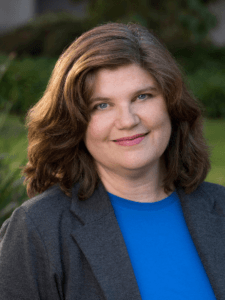 When she’s not in the library or at a board meeting, Kate volunteers with the Santa Barbara Women’s Political Committee and chairs the Education Committee of the Santa Barbara Symphony Board. 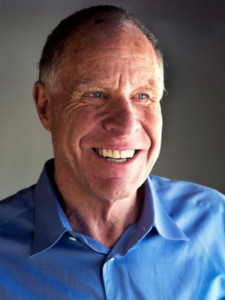 A self-proclaimed “poster boy” for Attention Deficit Disorder and dyslexia, who failed two grades, Paul Orfalea opened Kinko’s near the UC Santa Barbara campus in 1970. Paul succeeded in using his learning differences and unorthodox approach in business to turn the small copy shop into a $2 billion company with over 1,700 locations. A steadfast supporter of students in the areas of dyslexia and literacy, Paul continues to use his empowering and democratizing organizational style in the culture and aspirations of his business investments and ongoing commitment to philanthropy. SBEF believes that great schools have long-lasting effects on students and the community. Our goal is to continue to elevate the quality of public schools in our community.